Those trading in the stock market need to stay abreast with the latest financial news, but finding and keeping a track of information about the stock market isn’t tedious anymore. There are several mobile apps that serve almost every “stock” purpose, from checking the latest prices of commodities to controlling your stock profile. 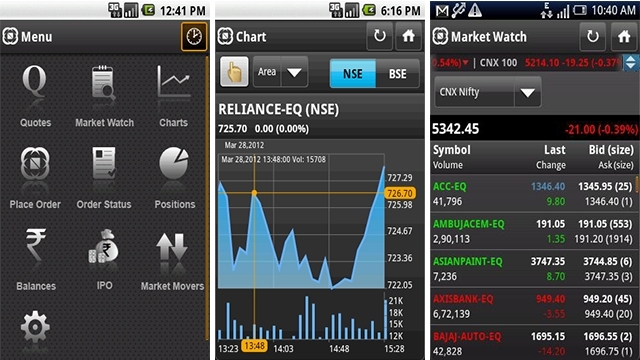 We have listed five such Indian stock market and finance apps, which are quite handy for novice as well as veterans of the stock market. Whether you are an investor, trader or a novice trying to learn the tricks of the trade, Moneycontrol’s Markets on mobile serves as a valuable app. It helps in managing/tracking your investment profile and getting in-depth knowledge of the financial markets. 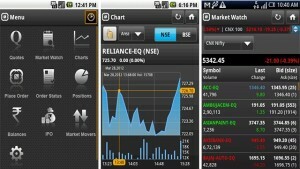 Powered by moneycontrol.com, the app brings real-time stock quotes, and Indian as well as global indices to its users’ fingertips. Moreover, one can watch Live TV (CNBCTV18, CNBC AWAAZ Live and CNBC Prime HD) for analysis of financial markets, economy and businesses. The app is available for a broad range of platforms namely, iOS (iPhone and iPad), Android, BlackBerry, Symbian and Windows. If you are looking for a free app to simply monitor the stock market, then the NSE Mobile Trading will prove to be extremely beneficial. This complete trading and market monitoring tool has a simple user interface which provides real time streaming quotes. The mobile app has been recently updated to improve its streaming capabilities, and gets a new option to enable “ticker bar” from Settings. It is available for both iOS and Android users. 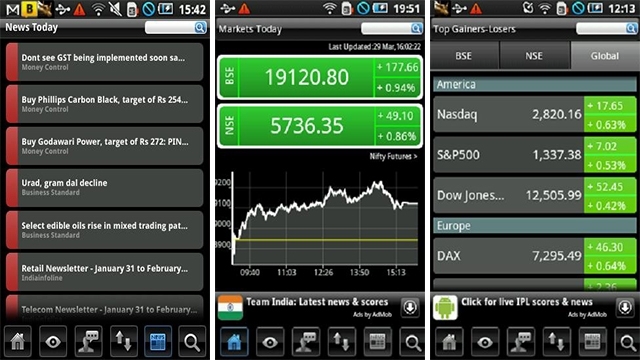 The Stock Watch is one of the highest rated apps that lets Android users keep a tab on the Indian and global economy. It can be used as a tool to follow India’s most important stock exchanges. The app offers the latest Indian stock market news, NSE futures and options, equity futures and options, BSE/NSE intraday charts, and Indian company stock quotes. It brings live stock quotes (expect 2 to 5 minutes delay), stock tips from experts in the Indian market and has an easy to use “Stock Search” feature. The Stocks Watchlist keeps a close watch on all the stocks which are extremely critical for you. It lets you sort them by name, price, change and percent change. It brings all the latest business news and global indices under one roof. The next in our list is the Yahoo! 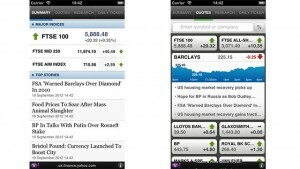 Finance app, offering a broad range of financial coverage. Once you download the app, it will ask you to select the region/country so that you get all relevant quotes. It covers a vast range of indices, and almost all information, be it the price of a commodity or the latest finance-related news. The app offers daily market summary and news, tracks tickers that are important to you and lets you add or remove stocks from the watchlist. You can even view your Yahoo Finance profile from a PC. The UI neatly organises the stocks, and lets you track them by offering real-time and after-hours data. 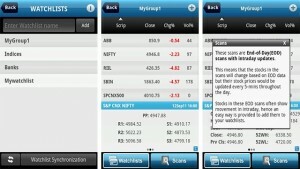 In fact, you can go beyond stocks as the app allows tracking industries, commodities and more. The app can be downloaded on Android and iOS devices. 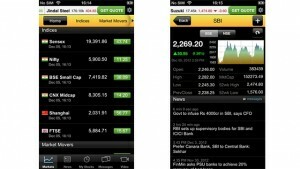 The Investar app has been designed to view NSE stock charts. These charts show signals to help traders make buying/selling decisions using several technical indicators. It provides live quotes and charts for users. The intraday quotes and charts are auto-updated every five minutes. One can easily browse through daily and intraday stock charts to find stocks of interest and add it to watchlists. 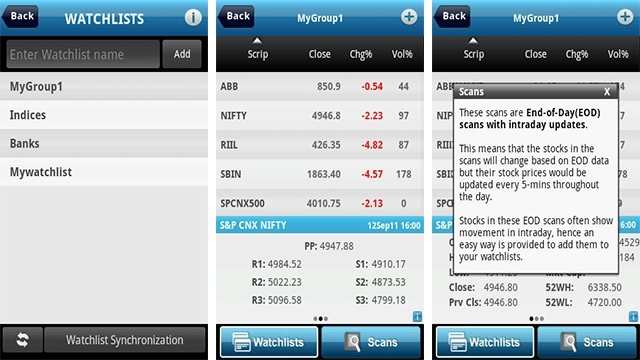 The free app allows adding up to three watchlists with a limit of 10 scrips per watchlist that come with five minute real-time updates for all NSE stocks. To create unlimited watchlists, one will have to make in-app purchases. The new Watchlist Synchronization allows users to keep a backup of their watchslists and/or synchronise them with the desktop software Investar 3.0. The Investar app is available for Android and iOS users. There are several other stock market and finance-related apps in app stores for different platforms. Choose the best for your use and trade smart. Great list . 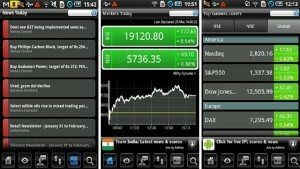 I have recently downloaded one more stock market app that is IntelliInvest app. It makes stock picking very easy and is able to guide you through the ups and downs of the market with timely advice. You get full Technical, Fundamental, Industry, Market Bubble, Industry Bubble and Investment profile analysis all under one umbrella of NSE and BSE stocks.